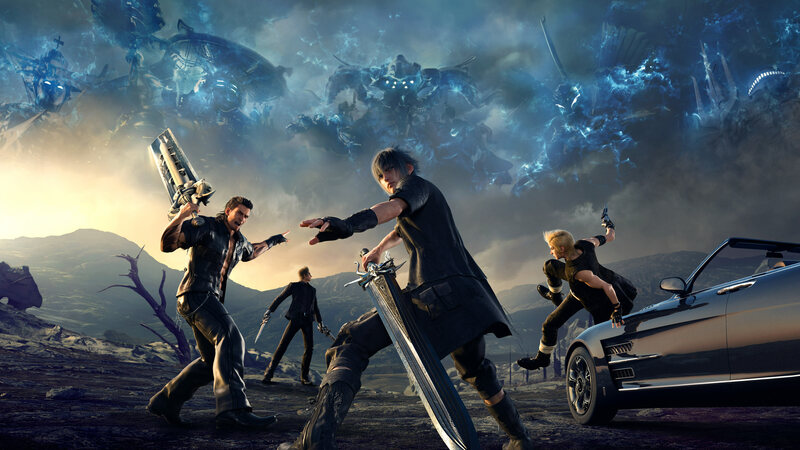 Square Enix has released an official benchmark for the upcoming release of Final Fantasy XV: Windows Edition which will be released on March 6th. The 4GB benchmark is not a playable section of the game but rather a series of pre-configured demo scenes that take about six minutes to run. FFXV: Windows Edition’s benchmark allows users to try out three different quality settings – Lite, Medium and High and three resolutions – 720p, 1080p and 4k. Users of the benchmark have pointed out that it does not offer 1440p resolution support, a common resolution between 1080p and true 4k. Don’t have access to a gaming PC and want to know how it looks? I recorded the demo on my Dell Inspiron 7000 Gaming Laptop with a Geforce 1050. On this modest medium range gaming setup I got a solid 30 FPS with very few dips (only noticeable during loading screens) on medium settings at 1080p. My gaming laptop ended up with a score of 3000 on the benchmark – which means that it is right around the recommended specs for the medium quality pre-set. Square Enix also released a neat little chart that outlines what certain scores mean for the final version of FFXV: Windows Version. It should be pointed out that this chart outs quality pre-sets that go well beyond the released benchmark. The pre-sets expected to be in the final version are: Extremely High, Very High, High, Fairly High, Standard, Slightly Low, Low and Insufficient (does not run the game).